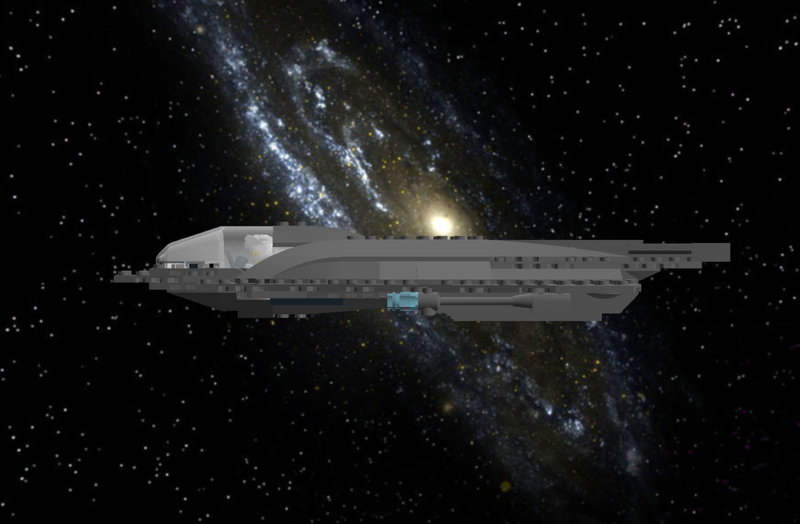 The Starling is a class of Long Range Interceptors in service with Star Force, Star Fleet, and the United Federation of Planets. 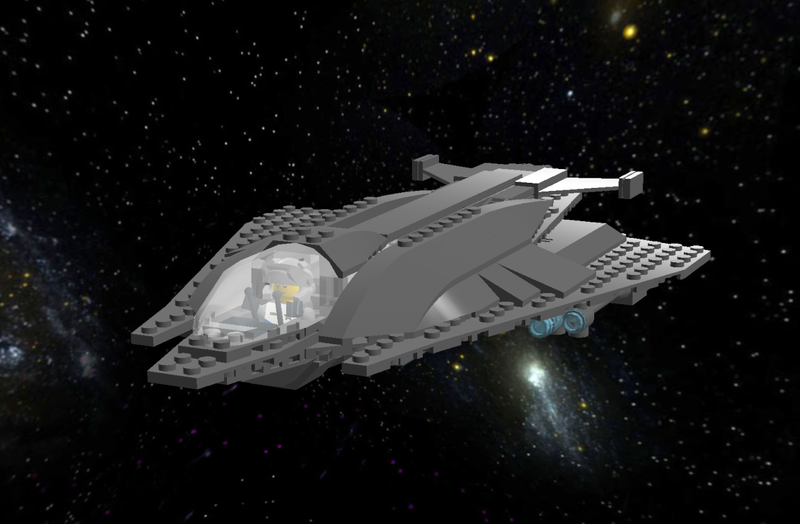 The Starling was designed by Talmidian Starship Industries and is produced by United Star Fighters Incorporated. As a Long Range Interceptor, the Starling is equipped with two huge thrusters on the ventral hull, drawing power from a warp core within the primary hull. This makes the Starling capable of warp velocities up to Warp 9, which is beyond impressive for a Star Fighter. Each thruster is also accompanied with its own deflector dish, so that should one dish be damaged, the Star Fighter is still capable of making it back home at faster-than-light speeds. And of course the Star Fighter is capable of sublight speeds, should it need to dogfight. The Starling lacks maneuverability at sublight speeds or in atmospheric combat, as these Star Fighters are designed purely for speed. 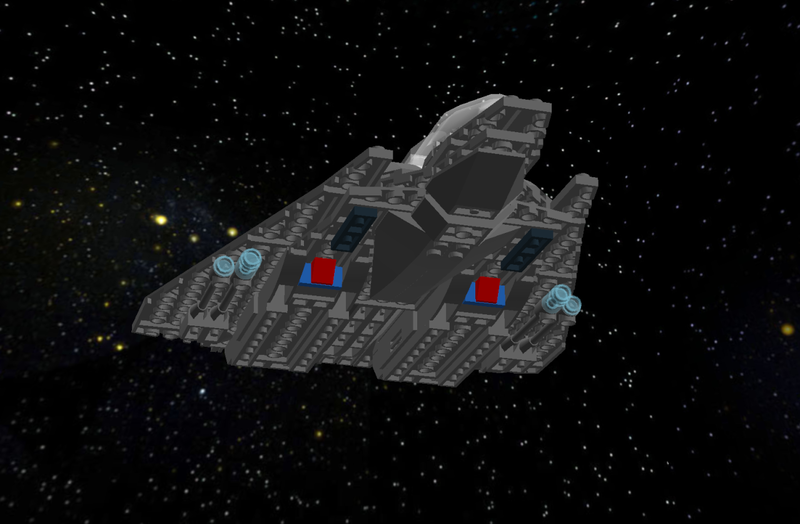 Weaponry consists of two phaser cannons mounted underneath each wing. 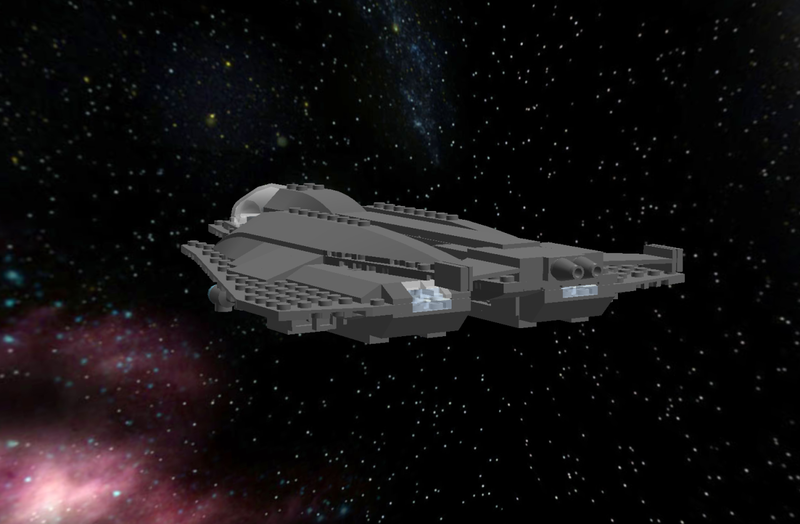 The outer hull of the Starling is also very heavily armored. Much of the hull space inside the Starling is taken up by the warp drive and fuel. This is my first new creation since the closure of the Creation Lab, RIP. Oooooh! Nice! It's VERY different from ANYTHING I've seen you do before.... cool! GRRR! It reminds me of something, especially the flat exhaust, I CANT THINK OF IT! It really bothers me! It does remind me of a space shuttle of sorts, but theres another shuttle-like craft it reminds me of... a little bit of F-117 stealth fighter, but the more long as opposed to wide shape is....like I said, something I can't remember. But anywho, other than the somewhat excessive speed (I assume it can't hold it for long then? Comparatively?) it looks like a very nice fighter. Purpose built, full of weakness (so not OP), but anything that does fall into it's role it can do very very well. Not that versatile (that's the weaknessess), but defitnitly good at what it's built for. Very nice. Location : Observing the construction of the latest starcruiser. These better run out of fuel fast or they'd be incredibly OP. Also, since I share a border with you, I'm assuming I'll be trashing plenty of these when things start getting rough eh? It is not OP, it is just really good at what it's built for. Kay? As for thrashing them, sure. Pull them out of warp with a subspace weapon and pick them off in a dogfight! That's the best way to take out a Starling. Still, warp incrases exponentially, which means that warp 3 is alot faster than warp 2 than warp 2 is faster than warp 1. It gets harder and harder to reach the next warp marker as you go faster, kind like leveling up. The large, fast moving star-ships with huge engines and large warp-cores have a hard time reaching warp 9, (well, most do nowadays but still), soemthign that much smaller would be absolutely thundering along like lighting if it would go even warp five or six, so while it has other weaknesses (comendable in the realism department), I still think it's got a unrealistic speed and is somewhat OP. But that's my only real criticism for it. It's still a nice fighter! One of your better ones if I may say so. xP Ugh. Fine. Maybe it is a little OP.